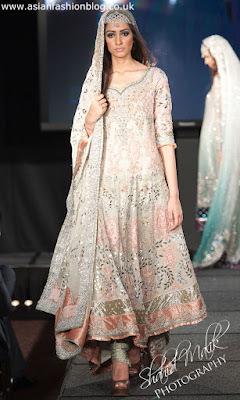 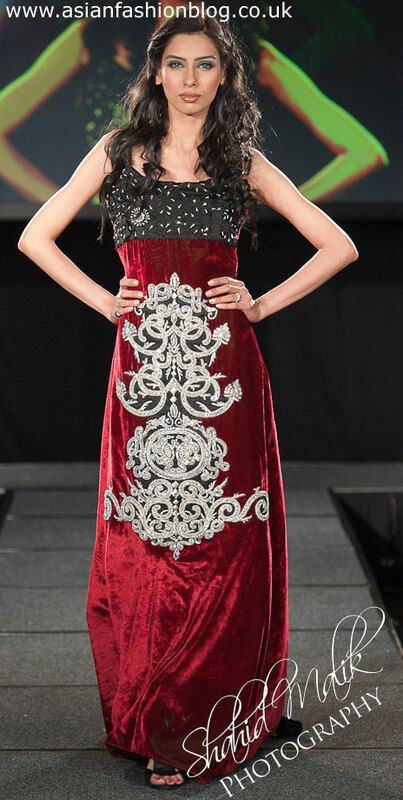 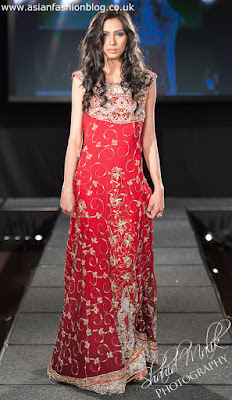 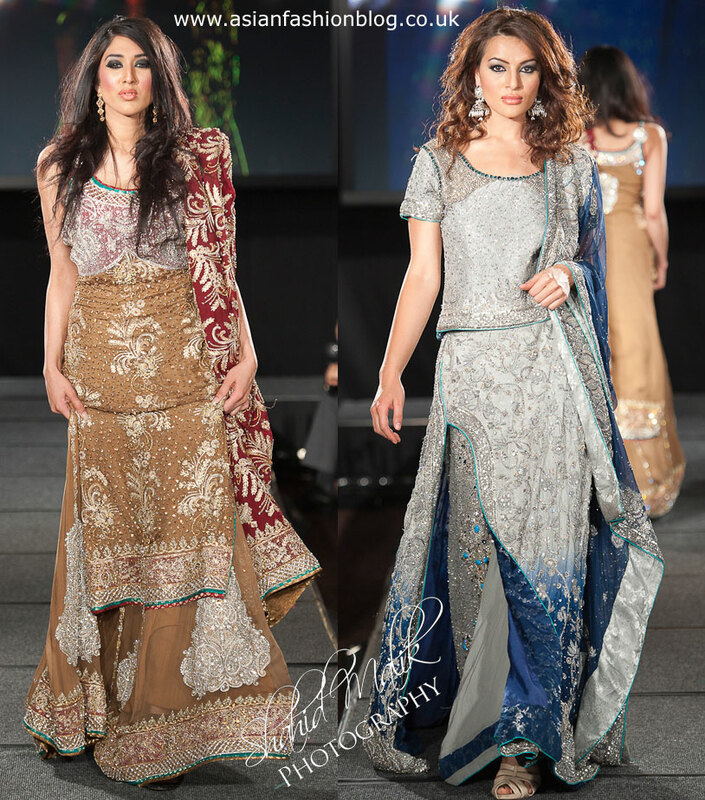 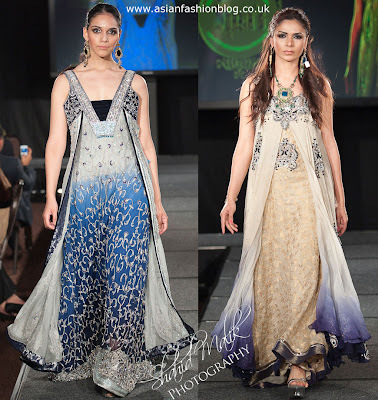 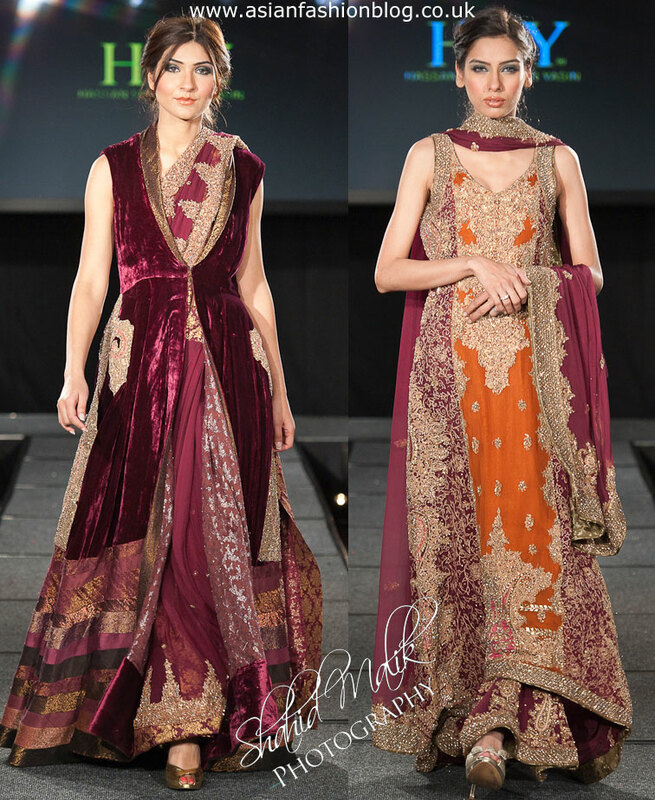 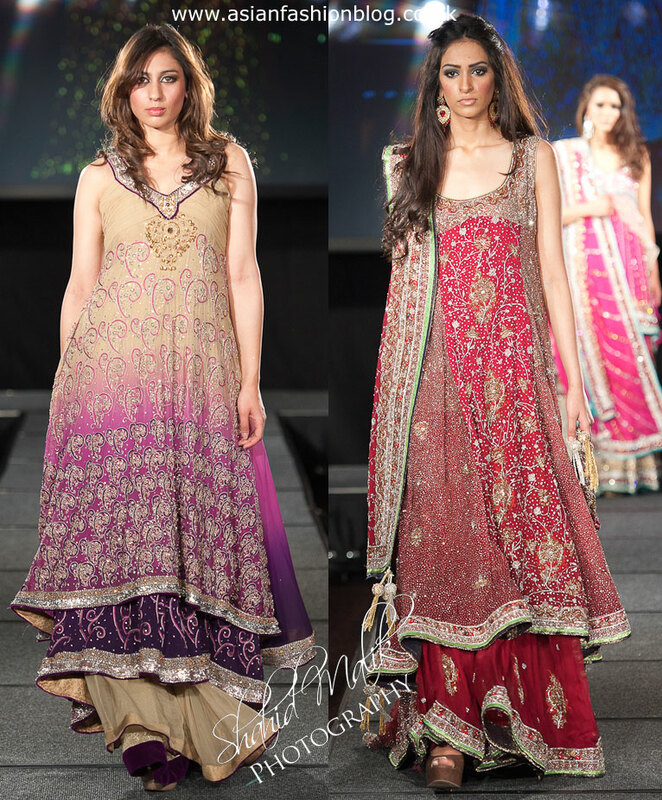 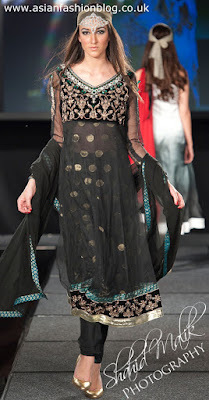 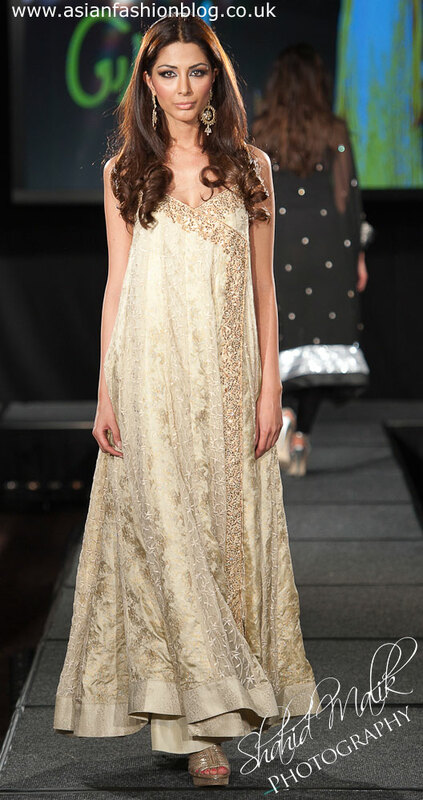 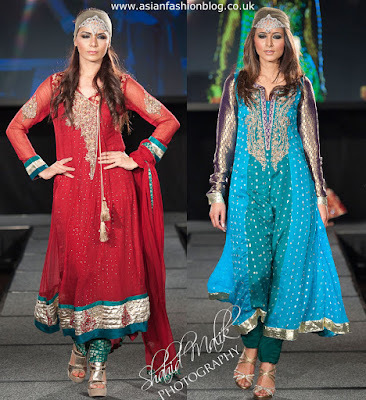 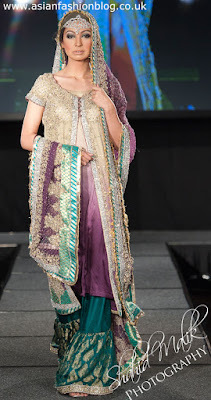 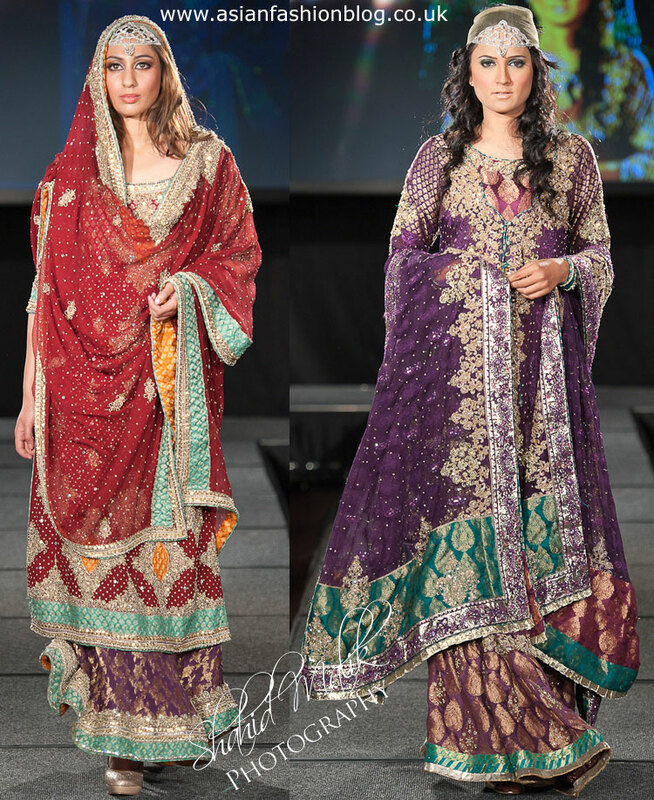 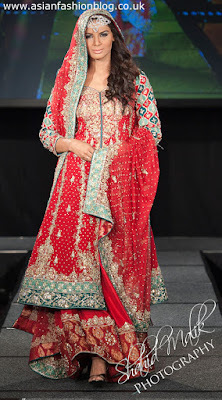 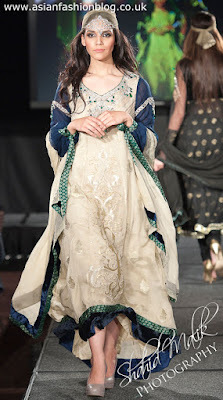 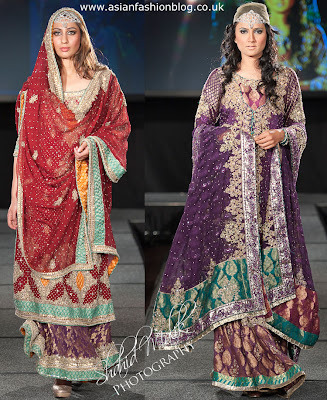 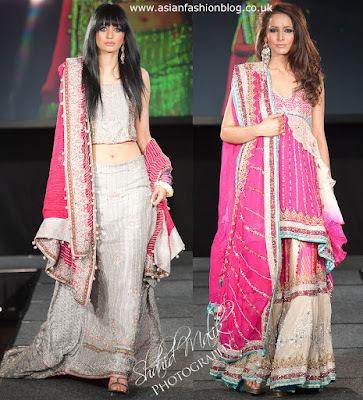 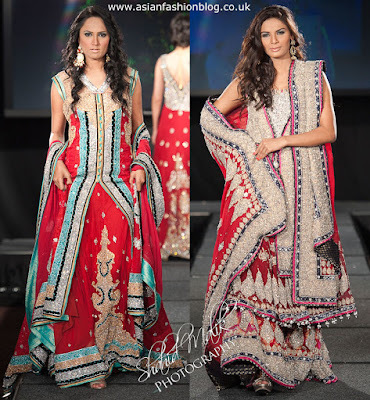 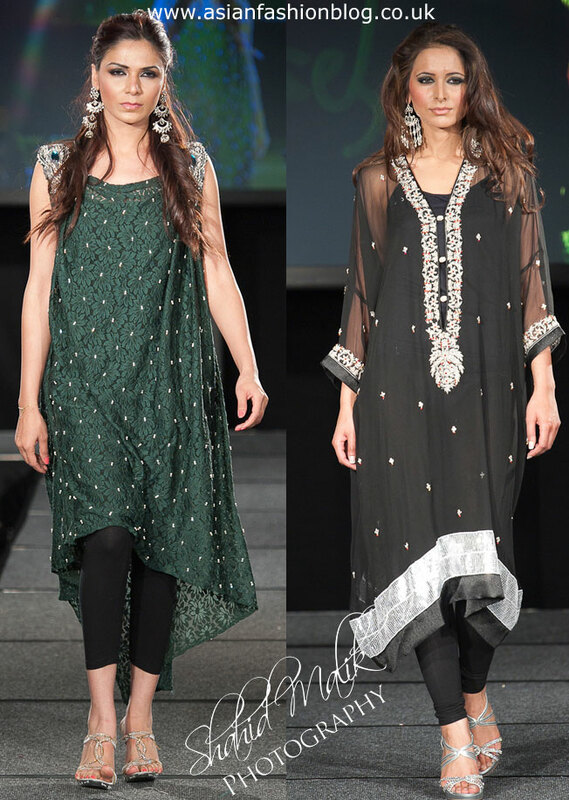 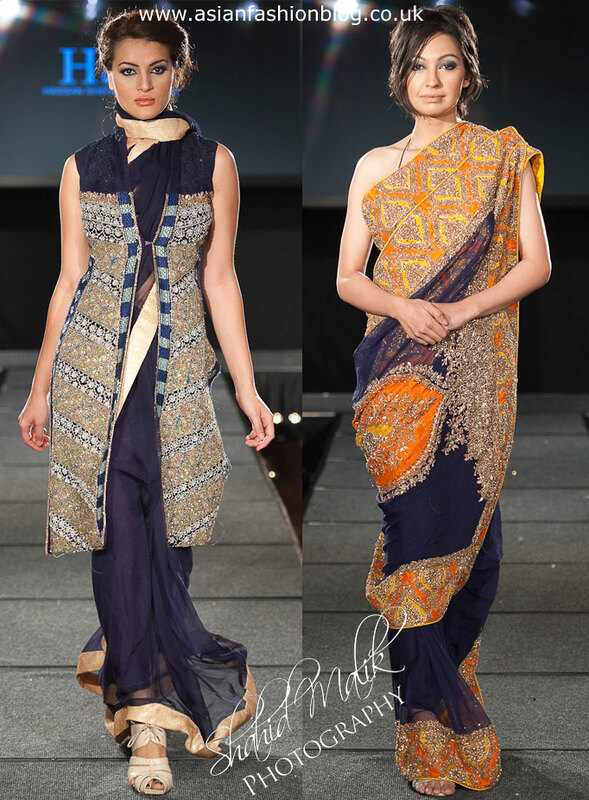 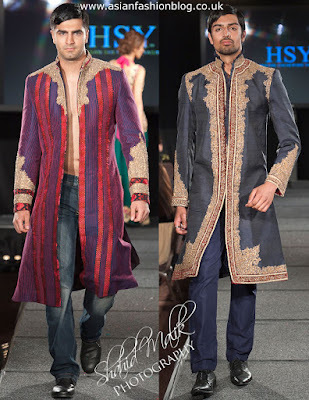 Here's the collection by HSY for the Pakistan Fashion Extravaganza 2011. 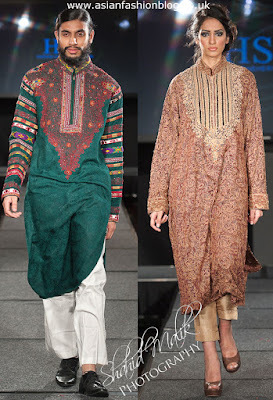 Don't really like either of these next two outfits, the sleeves on the mens' outfit don't work for me, and with the womens' outfit although I have no problems with the print it looks too loose fitted and a bit masculine. These next two outfits confuse me a little, is it a sari? 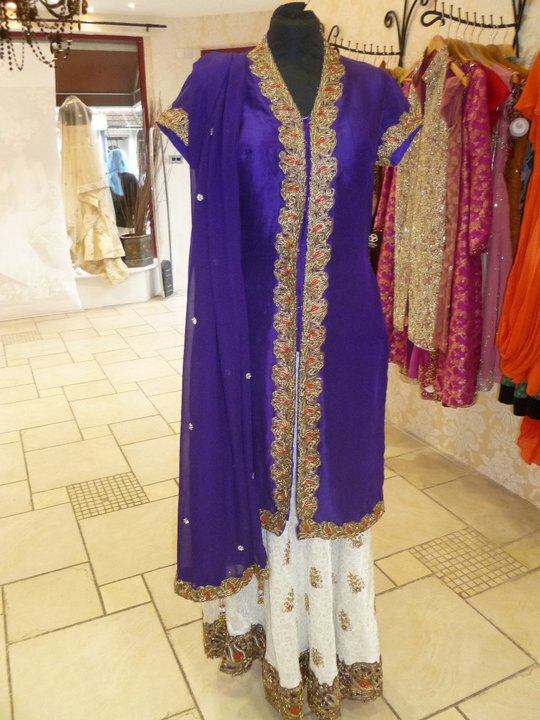 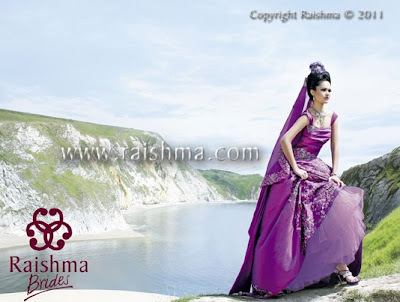 is a lehnga? 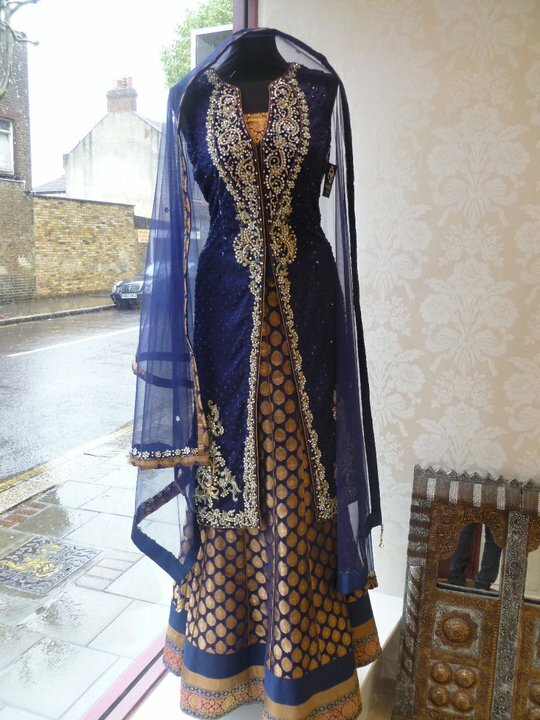 Now onto the final outfit, which to me looks like it has too much going on, it just doesn't come across as having that elegance of all the other outfits.